If you own a motorhome, travel trailer or 5th wheel, your rig is probably equipped with a full-size fridge. 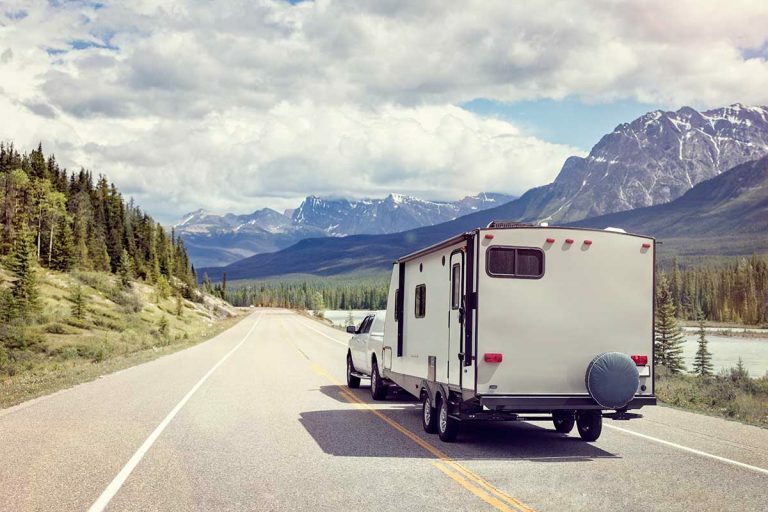 However, sometimes you need to add a smaller fridge, or possibly replace a full-size residential unit with a smaller RV option. Fortunately, there is a huge selection of such cooling devices on the market today. From small 12-V portable fridges to large propane-driven ones – we bring you 12 models that will keep your food cold without resorting to a full-size residential fridge. 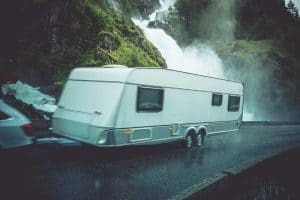 If you’re not sure about the various types of RV fridges, we suggest you read this post first: RV fridges vs. 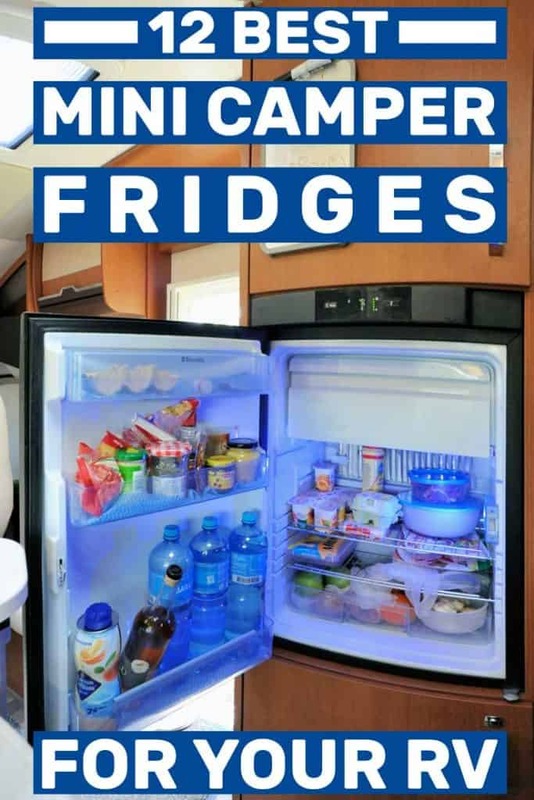 Residential – everything you need to know about the RV fridge. Grab a hot drink because we’re about to lower the temperature as we dive right into the list! The advanced compressor technology can reach temperatures as low as –22 °C while feeding off only solar power. And that’s the best part about the Dual Zone is that it is efficient enough to utilize solar power, which practically means that you can go off the grid. Some impressive electronic engineering goes into the product, enriching it with features that we didn’t know fridges were capable of. 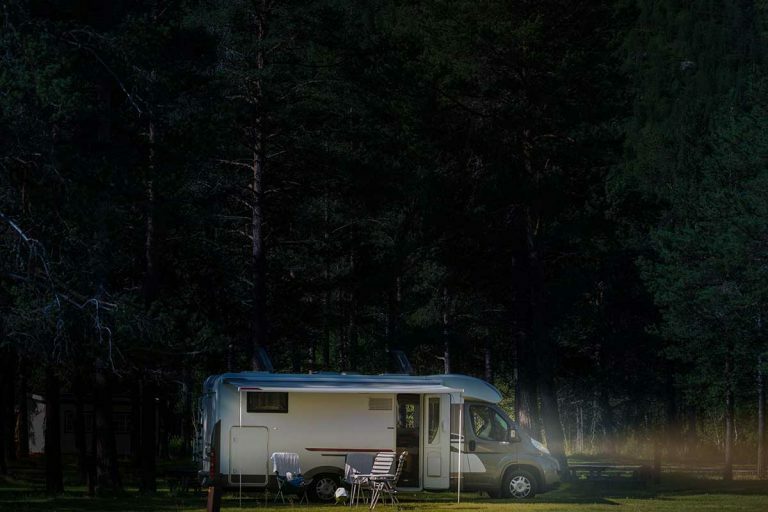 One such feature is the 3 Stage Dynamic Battery Protection System that turns the fridge off just as soon as the battery is about to die, ensuring your camper truck’s performance never gets hampered. But robust electronics isn’t why we featured this fridge on our list. We were impressed with the stainless steel hinges, powerful lid lining, and reinforced corners to ensure the fridge can withstand heavy loads. Perfect for off-road adventures. Get this portable 12-volt fridge here. The second camper fridge from Dometic that has made our list is the CFX40. This 12-volt electric powered mini fridge benefits from the same techno-features as the CFX75 with the exception of the separate freezer compartment. It also makes perfect sense why it fares at a cheaper price. The CFX40 is about 2/3rd the size of a conventional cooler AND you will never need to use ice again, which is always a plus. So if you ever need some extra storage space, you can switch to the CFX40. 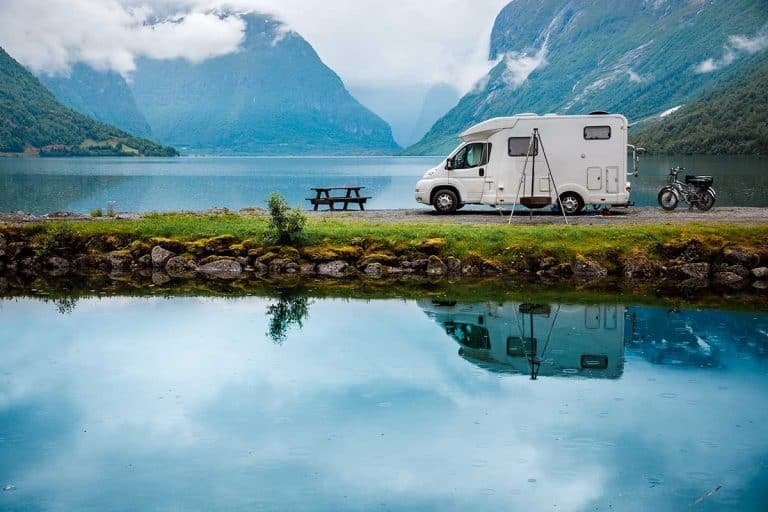 Dometic made sure to utilize extra efficient compressors that can be powered with solar energy, perfect if you want to retrofit your RV with off-the-grid applications. Get the CFX40 by clicking on this link. Engel has been working on portable mini refrigerators for an incredibly long time. Over the years they have improved upon their efficient compressor technology. Engel makes the incredibly bold claims of having ‘the most vibration resistant compressor’ on the market, and for good reasons. The refrigerator has been designed with longevity in mind, utilizing the famous Sawafuji Swing Motor that impressively enough, has only one moving part, that too, with no cranks or bearings. It truly is a marvel of compressor engineering that few will appreciate. So if your off-road session gets a little too ‘adventurous’ and you encounter some extra bumps along the way, you can rest assured that the MR040F will not be affected. Engel currently offers 4 models of the 12v lineup, ranging from 48 qt to as much as 85 qt. The compressor can be powered with your camper’s battery and in some cases, is sufficient for 24/7 round the clock usage. But make no mistake the low 45-watt power requirement doesn’t pull any punches when it comes to freezing things. You would be surprised, annoyed even, to find that the MR040 can freeze things up a little too quickly. You can get the MR040 fridge by clicking here. Alpicool is known for making budget-friendly refrigerators that are incredibly durable, feature rich, and bound to give flagship mini fridges a run for their money. In this case, the C15 is arguably one of the most inexpensive models we could find, although its capacity is on the low end at 16 qt, but nothing too worrying. You can easily fit 20 cans of your favorite liquids inside to chill down to temperatures as little as -20°C. One key feature of the Alpicool C15 is that it is operable even in the most grueling conditions. For instance, you can take your camper on a steep 45-degree hill and the C15 will continue to function as if nothing happened. 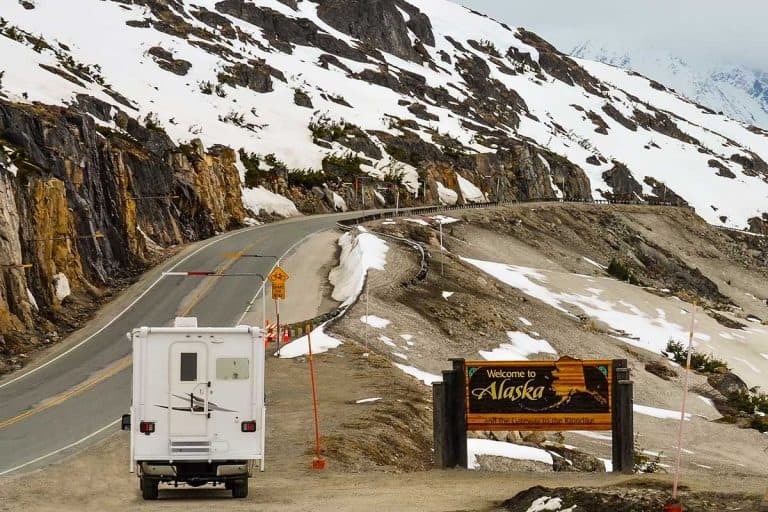 And if you’re on those really long off-road adventures and the car battery is about to die, the Alpicool C15’s 3 level car battery protect system doesn’t drain your camper’s battery level. However, we recommend installing a solar collector for longer trips. Get the C15 by clicking on this link. ARB’s 10800472 model is surprisingly light, weighing only 2.98 pounds, and will fit in any location. 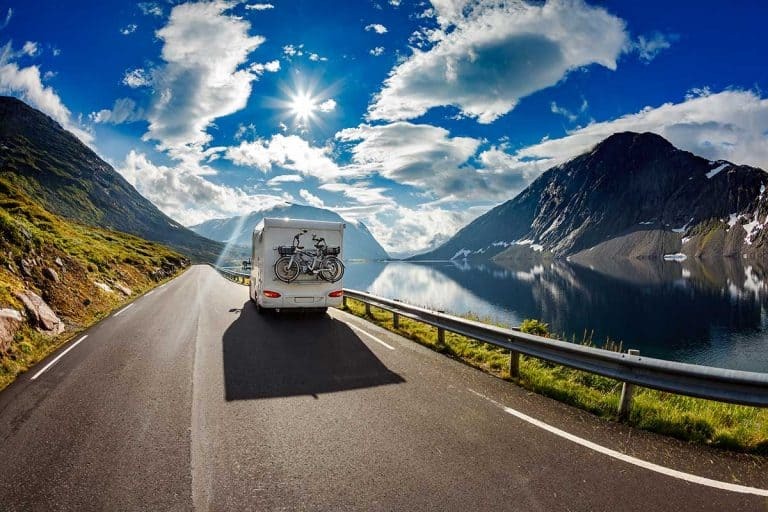 It is ideal if you want to ride off into the sunset inside your camper. This ARB unit can keep all your beverages and food chilled irrespective of the ambient temperature, thanks in part to the heavy duty insulation. We were very impressed with the low power requirements of this fridge, which uses only 0.87 amps per hour on a 12-volt source. It consumes less power than a single headlamp. 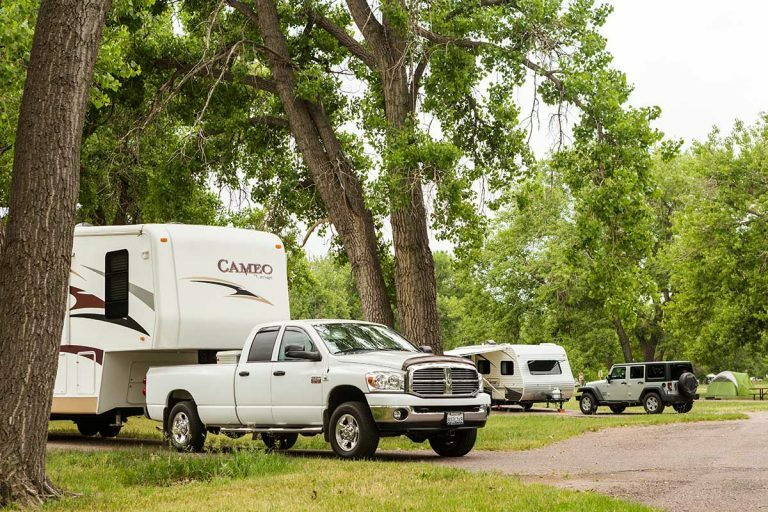 This means you won’t have to worry about your camper battery dying any time soon. ARB made sure to use the highly effective Danfoss compressor to provide to ensure your food and drinks remain cooled. Don’t worry if your off-road adventure becomes a little bumpy, because this ARB fridge can remain operable over insane angles of up to 30 degrees without compromising reliability or operation. You can get this extremely efficient unit here. SMETA Mini Fridge is a portable absorption refrigerator that is optimized to improve comfort and entertainment. Propane liquid is utilized to cool the fridge’s contents. The power requirement for optimum cooling is 65 watts and energy consumptions are as low as 0.7 kwh. While we were mostly happy with this fridge, our only caveat with it is the fact that you will have to install it well in your camper for stability. The temperature range isn’t crazy low as other items on our list, but we feel the 3-12℃ range is ideal for most people. Get this SMETA fridge by clicking here. Smad has been in the appliances business for well over 20 years now and has acquired tons of expertise, particularly in the portable propane fridge category. This RV fridge can be powered with 12 volts right off your camper’s battery. But we would caution against long term usage because the fridge will drain your camper’s battery faster than other products on this list. So if you have any DIY off-the-grid projects, you may not find Smad to be particularly cooperative. Click here to buy this fridge. Smad delivered again with their propane fridge that is optimized for usage in a camper. 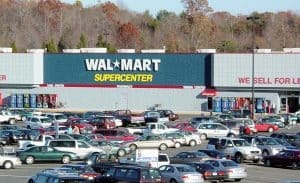 Absorption refrigerators are typically known for making lots of noise, but Smad incorporated some intuitive engineering to ensure the noise factor is muffled as far as is possible. This energy efficient fridge provides tons of storage space for all your food needs. The fridge has a temperature range between 32℉~50℉ while the freezer can go as low as 3.2℉. But you won’t have to worry about your food being waterlogged by shifting ice, even in those sweltering summer months. Click here to buy Smad’s propane refrigerator. If you want some extra multi-power versatility, then the RV refrigerator by Avanti is what you need. It can be run off solar power to enable people who spend a lot of time away from home. This unit has smaller dimensions for a full-size refrigerator, making it ideal for most campers, RVs, and trucks. Click here to get this fridge. If capacity is a priority for you, then the N410UR hits all the right notes. It has the largest capacity in its class. Norcold has a surprisingly low weight of around 95 pounds, making it small enough to fit in cramped up places. The N410UR is a budget-friendly solution to all your cooling needs. Do you want an extremely versatile fridge that can be powered by multiple sources? Then SMAD’s electric/gas RV is exactly what the doctor ordered. It can be run off AC, DC power, and LP gas, making it extremely useful to people who are always on the go. This unit has a relatively smaller size because SMAD decided to shelve space for a freezer, making it possible to squeeze it in tight spaces. 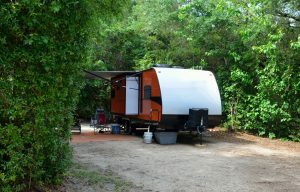 So if you want full-time RV living, then this unit may not be for you. It has a surprisingly low weight at around 49 pounds, making it highly portable. Using the fridge is straight forward thanks to its piezo ignition. This unit runs quietly, thanks to advanced cooling technology.